This was reported in the press center of the National Antarctic Scientific Center, Ukrayinska Pravda reports. “The chapel of the Holy and Equal-to-the-Apostles Prince Volodymyr at the station was built in 2011, during the tenure of Viktor Yanukovych, and the UOC of the Moscow Patriarchate was tasked with erecting the chapel. 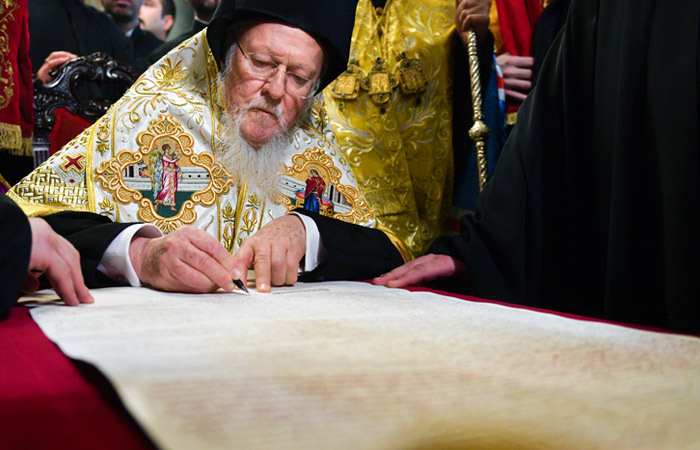 "Given that the members of the Antarctic expeditions who are believers are spiritually committed to the idea of ​​a single Local Ukrainian Church, it was decided to submit request to the Primate of the Orthodox Church of Ukraine Epifaniy to accept the chapel into the bosom of the Orthodox Church of Ukraine,” the statement reads. Voting for a decision on the transition to the OCU will take place during the rotation of the Ukrainian Antarctic expedition, when participants of the 23th and 24th expeditions, as well as the seasonal group of scientists, will be present at the Academic Vernadsky station. Participants of the 24th expedition will go to the Academic Vernadsky station on March 26. Якщо ти пінгвін, то знай, що в Антарктиді практично постійно присутні люди - зокрема, українські дослідники. І є храм ПЦУ. Даже пингвины поймут его незаконность и фальш и будут долго над ним смеяться. Хотя, с другой стороны, может быть, это хитро задуманная спецоперация Денисенко и Думенко - не признала "пцу" и "томос" ни одна Церковь, так хоть пингвины пусть признают и поздравят, наконец-то, Думенко с новым чином. Так что не надо сразу так резко отвергать пингвинов, может только на них и осталась вся последняя надежда на признание. Хотя надежды очень мало, пингвины неглупые и им очевиден весь абсурд происходящего.